There are 4 posts in this thread, and it has been viewed 2805 times. The King of Fighters: Maximum Impact Series. What do you think about it? Welcome to the Game of the Month! Long before The King of Fighters XIV lead the franchise into 3D battles in 2017, SNKP already attempted the transition from sprites to polygons back in 2004. 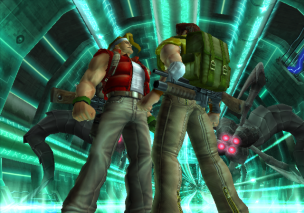 This month we're taking a look at SNKP's controversial Maximum Impact games. While some players praised the fresh perspective and different gameplay, others literally hated the distinctive artwork by Falcoon and the various changes that had been done to the combo systems and game pace. To promote the Maximum Impact series, SNKP even produced a short anime called The King of Fighters: Another Day. What are your thoughts and experiences with this uncommon twosome? KOF: Maximum Impact is a fighting game for the PlayStation 2, produced by SNK subsidiary Noise Factory and published by SNK Playmore in 2004. 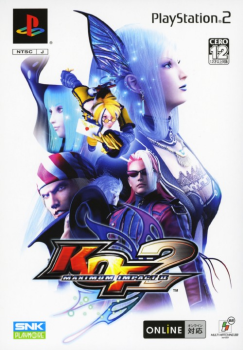 The sequel, KOF: Maximum Impact 2, (a.k.a. 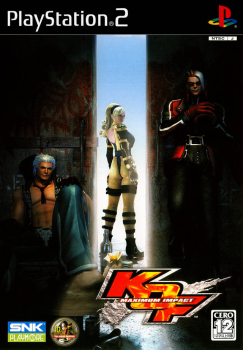 The King of Fighters 2006) was released two years later. 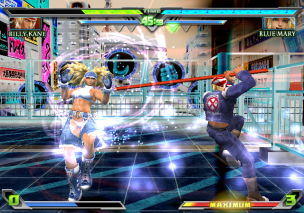 In 2007 SNKP brought out Maximum Impact: Regulation A, the arcade version of the second game. 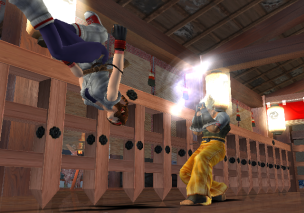 The Maximum Impact games were the first attempts of SNKP to transcend the King of Fighters series into 3D environment. 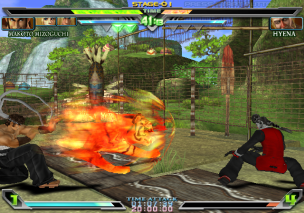 Some players have criticized the series for an inferior hit-detection grid, several bugs and exploits, awkward English voice acting and a limit on combo damage. Others acclaim the game's originality and depth, and find that the combo limit adds balance and reduces one-sided matches. I'm not quite sure about the score system in the Maximum Impact games, but if anyone's up for a HSC, just send Merlin or Priest a PM to do so! These games never appealed to me but watching them they look pretty solid gameplay wise. I think I remember that at the time of release the graphics were a bit behind the curve. So they didn't have the mass-market appeal of a Tekken or Dead or Alice. I still prefer the 2D KOF games on Neo Geo to all the new ones. BTW I can't see the embedded YT videos on this site anymore. Is it just me or everyone? Thanks for pointing out, Rik. It's not only you. The Photobucket issue can be solved pretty quickly by moving the pictures somewhere else, but I will have to ask Kaz personally concerning the not working embedding of Youtube videos. It must be a problem with the BBCode. The second one was really good. Fast and easy to pull off moves and combos. The first one I don't need to go back to. It was stiff and not as pretty.